It's too bad these onion rings are so quick and easy to make. I might feel tempted to make them any time I have a craving for something fried and crispy and what's better than beer battered fried onion rings! Just slice an onion, dip the onion rings in batter, and fry in hot oil for a few minutes until golden brown. I didn't let the batter sit for an hour like the recipe instructed because I was way too impatient for that, but skipping that step didn't seem to make a difference. They're not exactly healthy, but they are good! They go really well with a cold bottle of beer too. 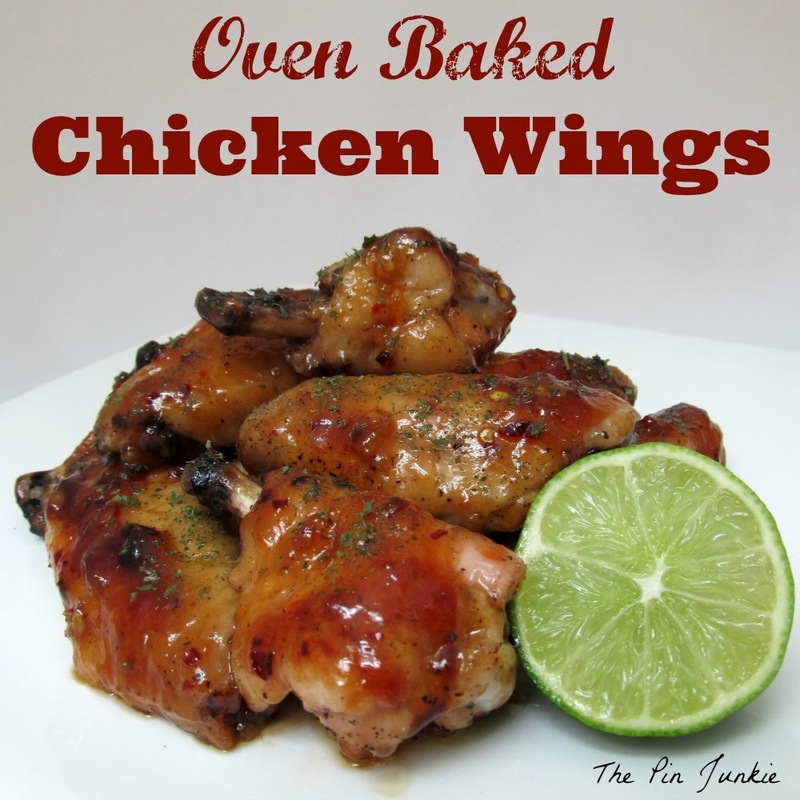 I'm thinking they'd go really well with these oven baked chicken wings as well. Get the beer battered onion ring recipe here. 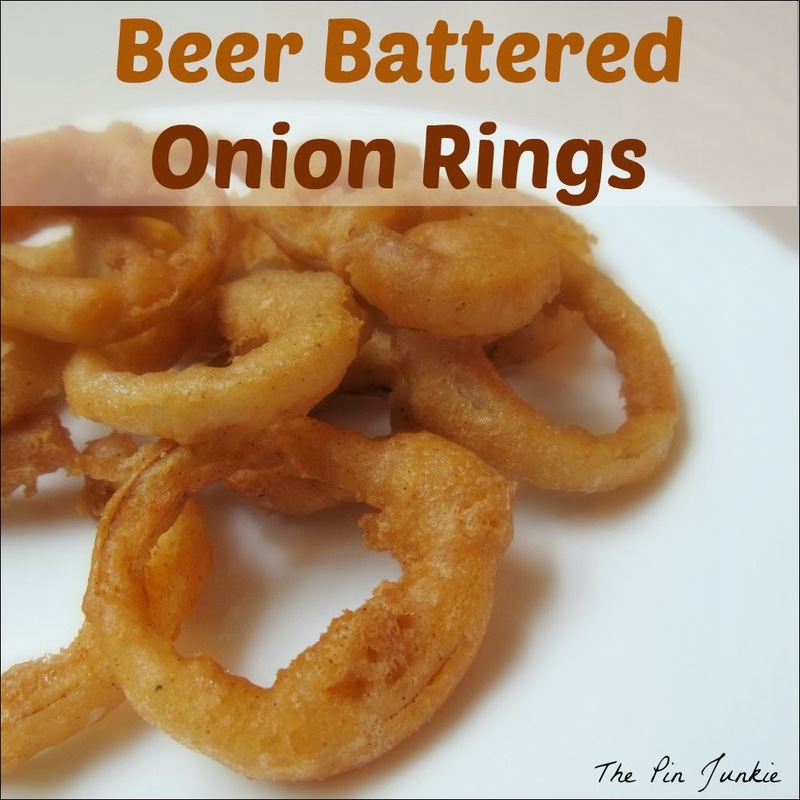 Inspired by this pin for beer battered onion rings. I could eat a couple dozen of these! YUMMY! I think I could eat a couple of dozen myself! Thankfully, I had help eating them, so I didn't eat too many! Your onion rings look amazing! So glad you posted on Foodtastic Friday! Your batter fried onion rings look delish. I lover beer battered fried food, too bad they aren't more healthy for you. Yum! These look delicious! I can't wait to make them! I'd love if you'd link them up on my Tasty Tuesday blog hop! I cannot wait to try these!! This will be a perfect way to use some of our garden full of Vidalia onions! I normally slice and/or dice them for the freezer. I'm wondering if I could quick freeze the batter onto them for freezing? I will have to try that out and see if it works! Thanks for the amazing recipe! YUM! I think sweet Vidalia onions would make fantastic fried onion rings! Good idea about freezing them! Oh, wow - beer-batter onion rings are one of my weaknesses!! These look so yummy! Thanks so much for joining us at #SoMe2 this week. Hope to see you again next week!! Onion rings sound delicious!! Thanks for sharing on the Thursday Blog Hop!! We love onion rings around here. I'm going to have to test it with the family. Thanks! I hope your family likes them as much as mine did Shannon! These are our favorite, we make them all the time. Trying rolling them in Panko crumbs! Thanks for sharing at The Weekend Retreat, Hope to see you back next week! Sounds like a great idea! I'm sure that would make them extra crispy and even more delicious! I adore onion rings... please don't make me cook them at home... love the idea of beer batter. Thanks for bringing these to foodie friday. I know, frying things can be messy! I love the onion rings at Sonic too! I would love to try beer next time I make this!Coming from Weekend re-Treat Link Party ! Come-by and visit my blog! I am afraid to admit how much I love onion rings. I love onions in general, I know some don't, but I do. I am looking for blog post contributors, if by chance you or someone you know is interested, feel free to message me, it comes with free advertising space. Have a great week. As a lover of onion rings, I have no excuses as to why I haven't made them at home yet! These look delicious, definitely going to give these a try. :) Thank you for sharing at #GetHimFed Fridays! !